This page provides various resources of help to commercial and recreational beekeepers. 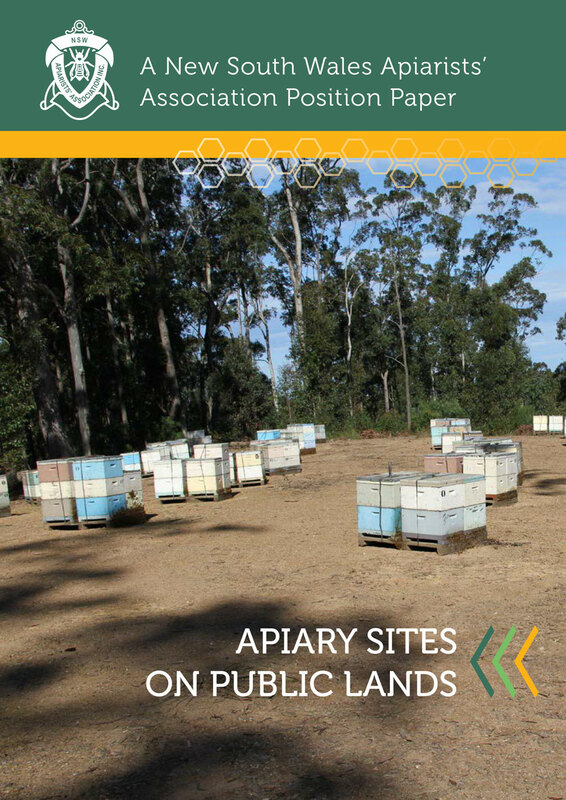 Click here to view various submissions the NSW Apiarists' Association has made on behalf of our members. Also, see our Links page for information on other organisations that work to support NSW beekeepers in various ways. Click here to view the latest B-qual newsletter. The NSWAA Executive are constantly working to try and ensure that our members can sustain viable businesses. After our workshop canvasing member opinions it was apparent that secure access to floral resources is a key concern for commercial beekeepers in our state. Below are a number of the submissions the NSW Apiarists' Association have made on behalf of our members - clink on the titles to download. - Public consultation for Draft Pilliga Outwash Parks: Statement of Management Intent. - Public exhibition of Morton State Conservation Area Draft Plan of Management. - Public exhibition of Monga State Conservation Area Draft Plan of Management. The aim of the Australian Honey Bee Industry Council (AHBIC) is to maximise the efficient use of industry resources and funds to ensure the long term economic viability, security and prosperity of the Australian honey bee industry. BeeConnected is a new smart-phone application (app) for Australian farmers and beekeepers who can now use this world-first technology to help ensure the safety of bees during normal farming practices. BeeConnected can be downloaded for free as an iPhone or Android App, or accessed on a desktop computer via a web browser. For more information, and to download, visit the BeeConnected website. The aim of this Rural Industries Research and Development Corporation (RIRDC) Honey Bee & Pollination Program is to support research, development and extension that will secure a productive, sustainable and more profitable Australian beekeeping industry and secure the pollination of Australia’s horticultural and agricultural crops. Plant Health Australia is the national coordinator of the government-industry partnership for plant biosecurity in Australia. Our goal is to work with federal and state governments and industry representatives to promote strong biosecurity practices that minimise plant pest impacts on Australia, enhance market access and contribute to industry and community sustainability. The purpose of the Wheen Bee Foundation is to raise awareness of the importance of bees for food security, and to raise money to help fund research projects that will address the national and global threats to bees. Click on this link www.tocal.nsw.edu.au/courses/bees for further information. Click here to see the Code of Practice and National Bee Biosecurity Program and how you can provide feedback. After consultation with the membership and refinement of the information gathered, a business plan for the Association's operations has been recently ratified by the Executive Committee. Click here to view the business plan. The NSW Apiarists' Association has been liaising with the Forestry Corporation to put in place a state wide beekeeping policy similar to that that has been in place with the National Parks and Wildlife Service for a numbers of years. This position paper was created to highlight the importance of the apiary industry and the necessity for it to have access to public lands. It is hoped that this will provide government departments and interested stakeholders with a thorough understanding of these issues. An increase in the number of managed hives available for crop pollination is crucial to the continued prosperity of the Australian agricultural industry. Further development of the managed pollination sector will also provide important opportunities for the honey bee industry. However, a significant barrier in this regard has been the risk that beekeepers face in relation to honey bee pesticide poisoning. Commercial beekeepers with more than 50 hives can register for a free online biosecurity course on activities to prevent the spread of pests and diseases in their hives. • minimising the impact of pests and diseases on their hives. The Australian Honey Bee Industry Biosecurity Code of Practice requires commercial beekeepers (with 50 or more hives) to complete such an approved biosecurity training every three years. They can do the course for free by contacting their local Bee Biosecurity Officer to obtain a token code. Beekeepers with less than 50 hives, who will also find the course useful, will need to pay $20 to complete it. The Biosecurity for Beekeepers course is delivered by Plant Health Australia through funding from the Australian Honey Bee Industry Council. The development of the course was funded by AgriFutures Australia. Even thorough the beekeeping industry has a clear objective of preserving native flora, the industry’s position on access to government lands in particular is tenuous and needs a strong proactive stance to counter extreme negative views. By adopting a National Best Management Practice for Beekeeping in the Australian Environment, the beekeeping industry is in a more favourable position to demonstrate that it has a thorough understanding of its environmental impacts, and can adequately manage these.